Gift Give-Away #2: In the Hoop Wallet Design Pack! Hi Ladies and any Crafty Gents who may be reading! Everybody's koozies & key fobs are Ready!!! Click here for pick-up details. Read on to Check out our next Gift Give-Away! 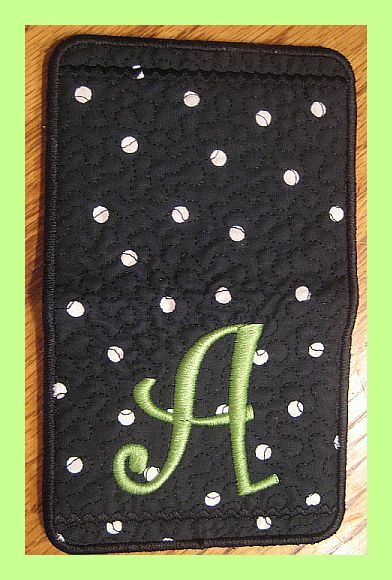 Package includes 27 wallet designs with Curlz letters A-Z and a blank wallet for adding your own monogram or other design. Design CD has designs in all formats and also PDF instructions to make your project/projects. I have this design set. In fact, it was my very first in-the-hoop project ever and I really enjoyed making it. I also made one for my uncle who LOVES to play golf. 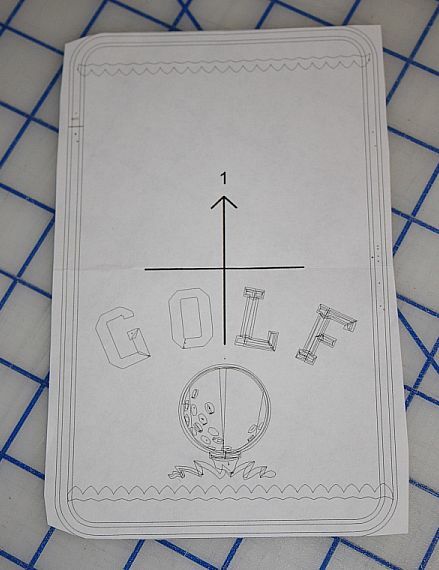 So, I added a golf theme to the blank wallet and used my Janome, Jr. Digitizer software to print out my template to preview. I stitched it out and gave it to him. He was so impressed and thankful to have such a one of a kind gift. Here is the wallet unfolded and laying flat. Here is an inside view of the wallet. Perfect for holding credit or debit cards etc. Ok! So how do you win this awesome prize??? #1 Please make sure you are registered to follow this blog via email. Only registered followers are eligible to win. There is a link to register on the right hand side menu bar. #2 Write a comment on this blog post letting us know that you want to be entered for this prize drawing. #3 On Dec. 16th we will have a random drawing for all names entered. If you are the winner, we will contact you via email. #4 It’s that easy! Good luck! 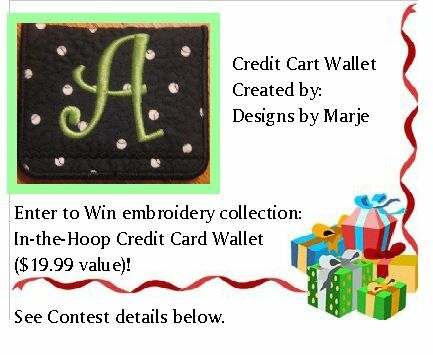 This entry was posted in Gift-Aways, News and tagged digitizing software, embroidery, in-the-hoop project on December 7, 2011 by Jenny Gabriel. All the gifts are beautiful, and would make awesome Christmas gifts. That wallet is so great ! Yes, I would like a chance to win ! Wow – thats a great gift!! This is a great give away. Thanks to Margie for the design. Would love to win this, thanks for the great give aways. I did the prize drawing today, and YOU are the winner!!!! 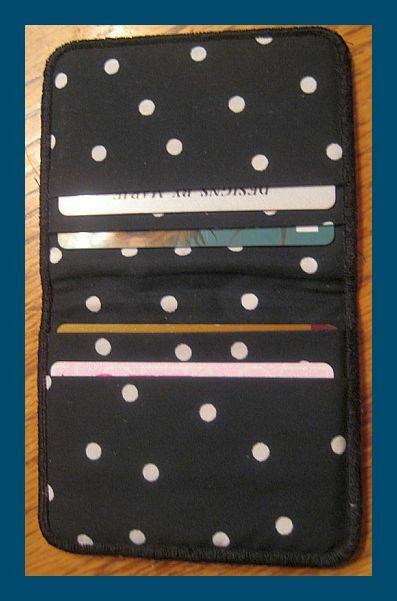 You can pick up the wallet design pack at Humble Sewing Center at your convenience or you can have it mailed to you. If you want it mailed, please send me your mailing address. Thanks so much for participating and for following the blog! This looks great, would love a chance to win. Thank you for the blog. All the projects, tutorials and helpful informaton are great, plus the bonus giveaways are good too! I would love to share your Great Website to my friends on Twitter, how to do that? such as you who are not afraid to say how they believe. All the time follow your heart. textiles and medical, automotive, packaging, agriculture, firearms, and defense among others. So, it owns the mandatory information and capabilities to build, make and aplply all kinds of superior engineering products. and study middle for years.